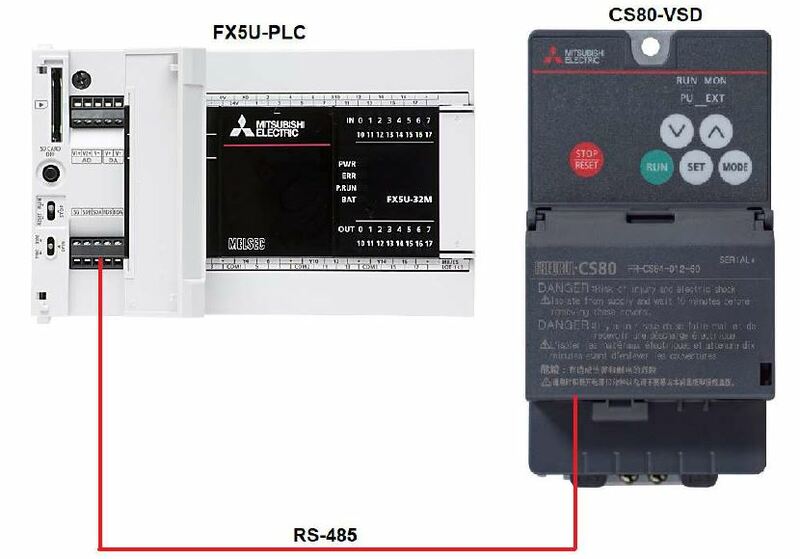 We have made it easier for our customers to be able to connect the Mitsubishi FX5U-PLC to our new well priced, entry-level Mitsubishi FR-CS80 Variable Speed Drives using the onboard internal networking capabilities of both the products. 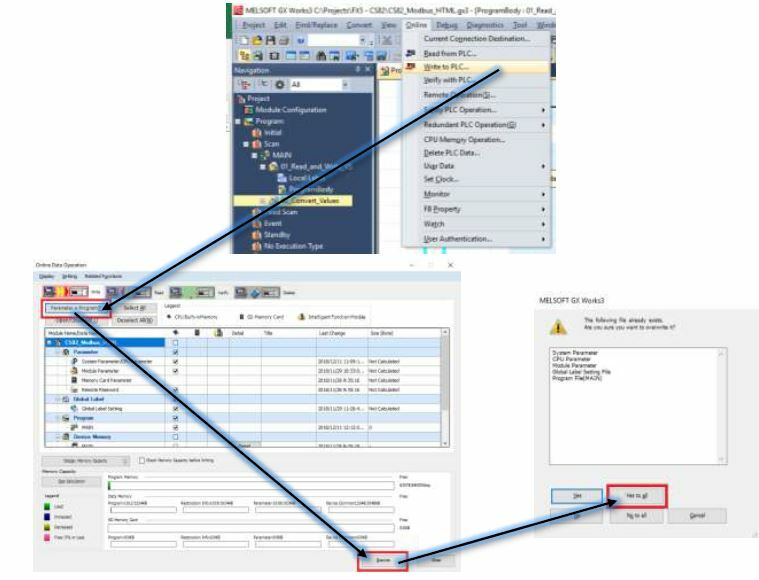 Simply download the GX3 file (sample program file) onto the FX5 PLC CPU to allow for communication to your applications. The purpose of the application is to allow for the inverter to be controlled and monitored by the PLC through network. This allows you to expose all the parameters of the inverter at a PLC level. In addition, the VFD status can be monitored for plant process or diagnostic purposes, and from there convey it to the SCADA or HMI via Ethernet communication. The advantage of the particular application, is that one doesn’t require additional communication interfaces, or procure a more expensive VSD which can accommodate option communication cards to allow for communication, as this can be achieved via the FR-CS80 with its entry-level pricing. Simply download the GX3 file onto the FX5 PLC CPU to allow for communication to your applications. It is optional to configure the FR-CS80 VFD drive via FR-Configurator 2.